What else is better than a safe and secure house? 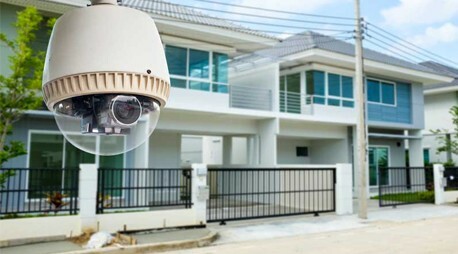 We provide our customers with high quality and highly efficient home security cameras installation service in Los Angeles area and Orange County. With the home security systems from Digital Surveillance, your house is always saved and secure. We offer a wide range of services which include home security cameras installation, Hidden CCTV cameras installations, Home Automation installation LA and Home Alarm Systems installation. Moreover we also offer keyless entry systems which will make your house more secured. Best thing about our range is that they are reliable and very cheap. We also offer efficient installation and maintenance services for our valued customers. And as we all know, prevention is better than cure. So install our security system today to save your house from break in. We are a company that values its customers the most. You can call us anytime. We are available 24/7 for our customers. We are team of experts on which you can rely upon. Our staff members are equipped and well qualified who install the cameras in your house to make it a safer place.